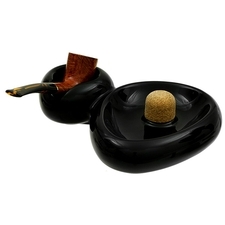 In this latest offering from Savinelli, the marque combines their signature Goccia pipe stands with their utilitarian ashtrays, bringing them both together in a smooth, modern design. 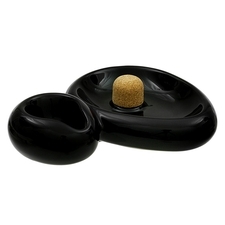 Available in four different colors (royal blue, milk-chocolate brown, deep, forest green, and jet-black), these ashtray/pipe stand combos are sure to look great in any room. Measurements: H 2" W 8" D 6 1/2"